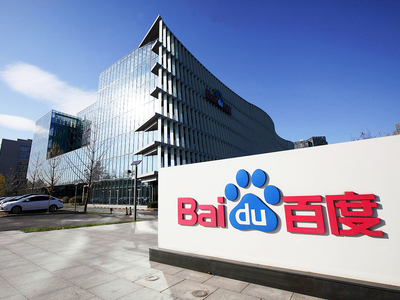 Internet giant Baidu Inc on Thursday announced it will launch autonomous cars with Level 4 capabilities next year in a partnership with Hongqi, a homegrown brand under automaker FAW Group. Powered by Baidu's Apollo autonomous driving platform, a limited number of Hongqi L4 autonomous passenger cars will be produced in 2019 for testing and pilot operations in cities including Beijing and Changchun in Jilin province. Mass production of the cars will begin by 2020. On the five-step scale of autonomous driving, level 4 is when a car is capable of completing an entire journey without driver intervention. But the vehicle does have some constraints, such as being confined to a certain geographical area. "The era for autonomous passenger vehicles is upon us, but having only smart cars is not enough. We also need smart roads. By leveraging our capabilities in autonomous driving and AI technologies, we can develop comprehensive solutions that will greatly improve the efficiency of urban cities," Robin Li, chairman and CEO of Baidu, said at the annual Baidu World tech conference in Beijing on Thursday. With a larger goal of driving a commercially smart future, Baidu announced it is in discussions with the authorities in Beijing and Shanghai to offer AI-powered city management solutions, which will improve urban safety, traffic congestion and public parking. The company is set to launch more than 100 autonomous taxis next year for pilot operation in Changsha, Hunan province. And it has partnered with Geely-owned Volvo Cars to develop electric cars with full autonomous capabilities for China. "To finally have self-driving cars on the roads, there is a need for related policies and infrastructure to match with the technical progress," John Zeng, managing director of LMC Automotive Shanghai, said. "It will still take time to roll out fully autonomous cars in the market." The Chinese government expects intelligent cars with partial or full autonomous functions to account for half of the new vehicles sold in the country by 2020. The plan, released by the National Development and Reform Commission in January, highlights China's aim to become a global power in smart car development and production.